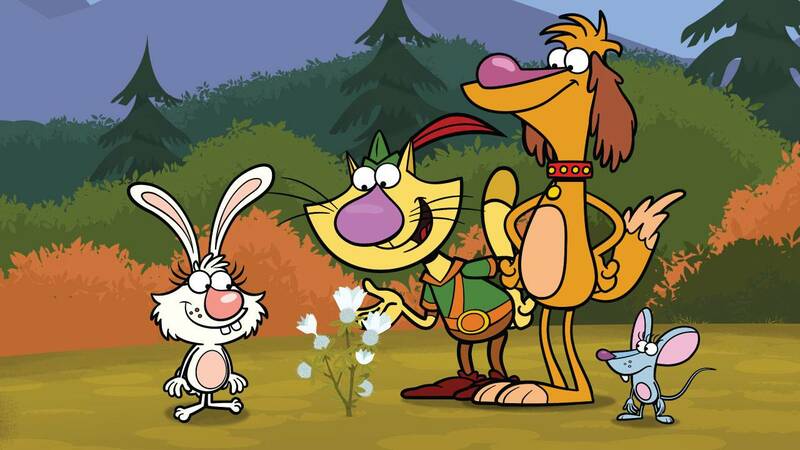 On Monday, January 18, 2016, PBS KIDS will premiere a one-hour special from its newest series NATURE CAT. 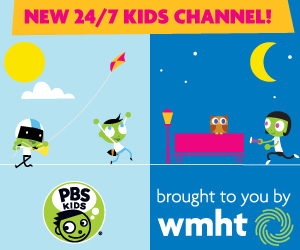 The special will repeat throughout the week of January 18 and will be available free on both pbskids.org and the PBS KIDS Video App, which is accessible on a variety of mobile devices and platforms such as Roku, Apple TV, Amazon Fire TV, Android TV, Xbox One and Chromecast. Additional new episodes from NATURE CAT will also debut throughout the week. New related games, clips and full episodes will also be available on PBS KIDS’ digital platforms throughout the month. “Stream and Shout” − Nature Cat goes to his Nature Curiosity List for inspiration and finds number 73: “Where do streams begin?” This seemingly simple question leads the gang on an action-packed adventure, as they follow the stream uphill, exploring new environments and meeting all sorts of friendly critters. When they finally find out where the stream begins, they are whoa-ho-ho amazed! Curriculum: Streams start out as runoff from rain or snow and flow into larger and larger bodies of water, eventually reaching the ocean. “Hal’s Day Off” − After a silly mishap leaves Hal alone in the big city (well, he does have his chew-toy Mr. Chewinsky with him), it’s up to Nature Cat, Squeeks and Daisy to make their way to the city and find Hal! Tally ho! Even though Hal is having so much fun sightseeing, he will need to get home somehow. When Nature Cat, Squeeks and Daisy can’t locate Hal, they turn for help to animals that they never even knew lived in the city! Curriculum: Different kinds of wild animals can survive and even thrive in city neighborhoods. “Tally Ho! A Rainbow” − After a rainstorm (Nature Cat is sure glad it’s over! ), Daisy wants to capture a picture of a rainbow for her Granny Bunny, who just loves rainbows! But finding a rainbow is easier said than done, as the four friends trek all over in search of it! Curriculum: Just after a rainstorm, when the sun comes out, you can stand with your back to it and look for a rainbow in the sky. “Travelin’ Seeds” − When Daisy finds a beautiful flower in her garden that she didn’t plant, it’s up to Nature Cat and his pals to find out where the flower came from. Their investigation leads them through the park and into the woods, where the clues show them that seeds can actually travel far distances and grow where they land. Curriculum: Some plants make seeds that will travel to new growing places to continue the plants’ cycle of life.